GE announced on December 6th 2016 a new line up complementing their C by GE products. GE Lighting already released Bluetooth controller bulbs earlier this year, but now they claim, that they redefined smart living with their new product line. This new product line is a light with embedded Amazon Alexa functionality. Amazon released their integration options for Alexa Voice services and GE integrated that functionality into their new lighting product. “We’re really inspired by voice as an incredible new user interface. We’re giving people an alternative by having this combination for the first time,” Jeff Patton, GE Lighting’s GM for Connected Home Products. The exact launch date has not been determined yet but according to Jeff Patton, GE is targeting Quarter 1 in 2017. He didn’t reveal the price point either, but he did hint that it will be below $180 dollars. 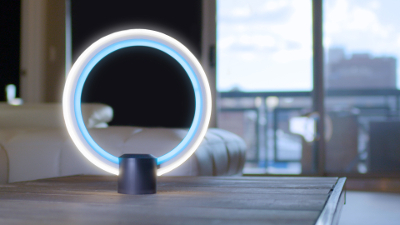 This new product is already published on the C by GE website https://www.cbyge.com/ and a video has been released as well, highlighting the combination of Alexa Voice services and GE lighting. In addition to that, you can download the C by GE app in the Play Store for Android phones and looking deeper into their app, you can find circadian rhythm and follow the sun concepts. GE is claiming that “almost” all Alexa services will be available on this new product line. The assumption here would be, that GE did not sign up for the music services of the Alexa Voice service, as this product is a lighting product and not a speaker for playing music. On the other hand having the Smart Home functionality in Alexa embedded in this lighting product would make sense. So rather making assumptions, let’s wait for the official release.